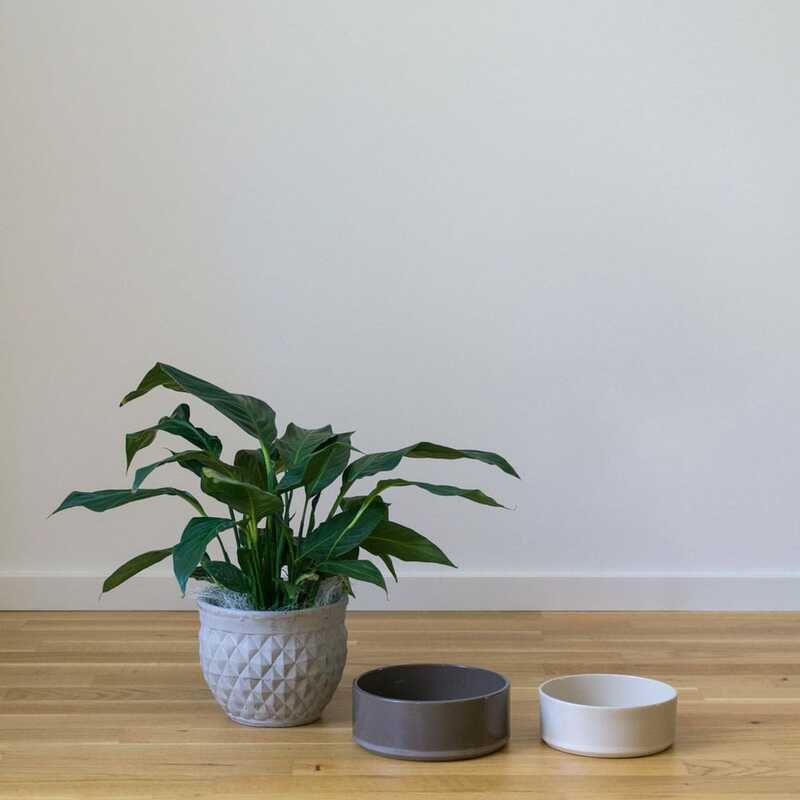 This is Juna, a minimalistic dog bowl which integrates perfectly into every apartment. Its clear forms make it look very noble, but at the same time it is extremely robust. Not only you’re gonna love Juna, but also your dog. 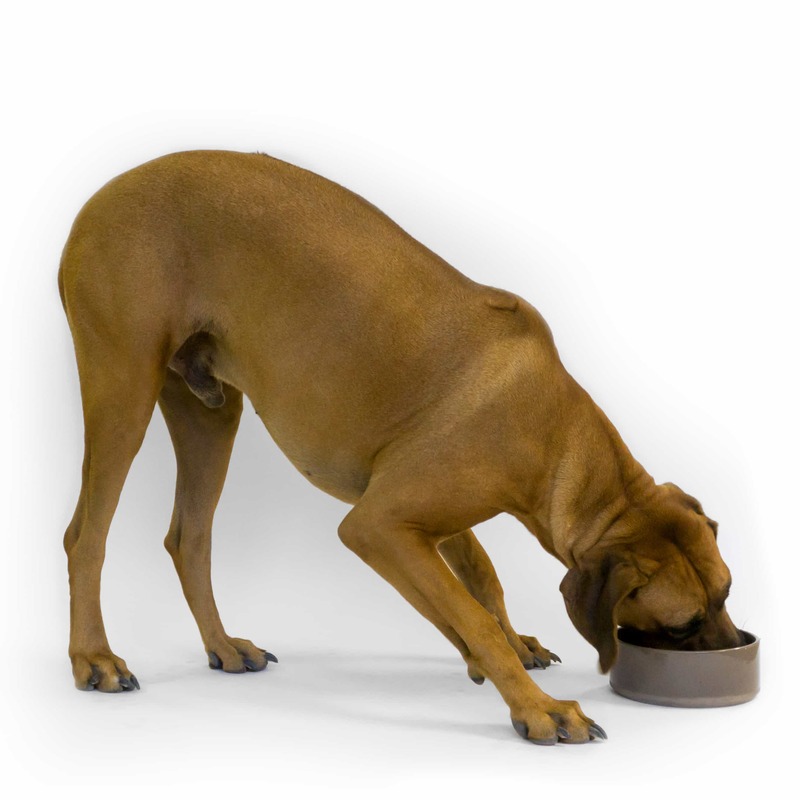 To get the food served in this unique dog bowl is probably unique. 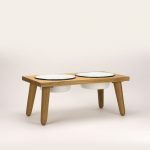 Juna not only looks great, but is also produced fairly and sustainably in a small manufactory in Germany. Every piece is real handwork. Juna consists of stoneware, which has been used for thousands of years in the production of ceramics. After being cast by hand, Juna is fired once at about 1200 degrees Celsius. Afterwards Juna gets a food-safe glaze before she is fired a second and last time. 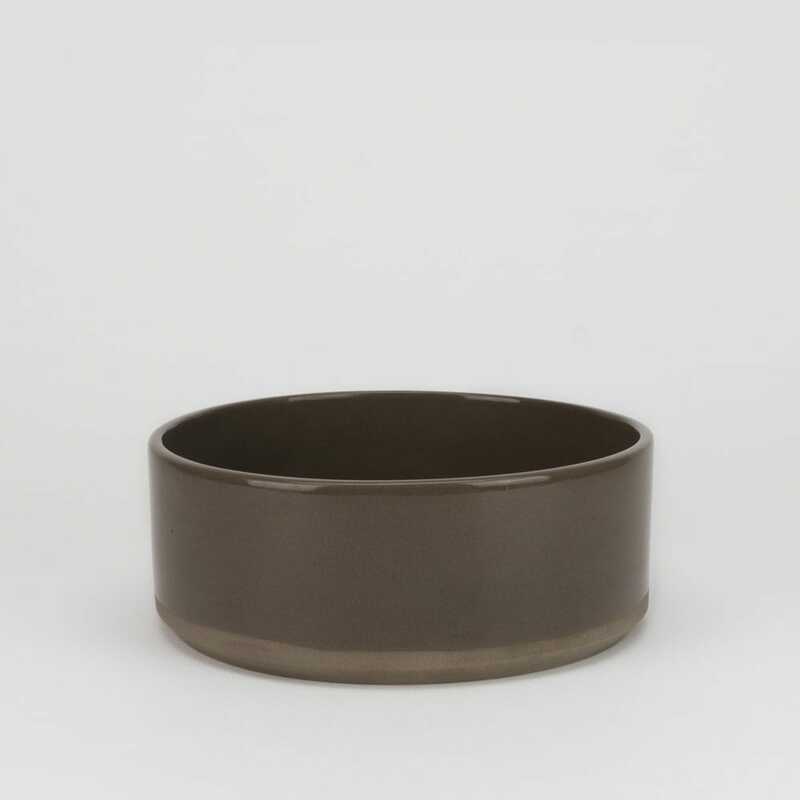 The incomplete outer glaze creates an optical highlight, which makes every food bowl unique.